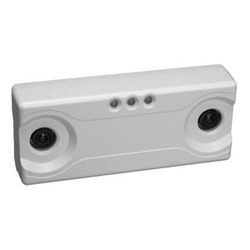 Keeping in mind diverse necessities of our clientele, we offer a high-quality diversity of People Counting Sensor. People Counting System is the electronic counting solution using microprocessor technologies. AGS in collaboration with ‘ShopLine’, France, has customized the One Way and Two Way detector systems specifically for use in the places like: retail outlets, banks, museums, etc. in India.